With any service, the way people describe the experience will differ. There are aspects outside of your control that influence how people perceive your service. What organisations often miss, however, is that there is in fact a lot more they could be doing to influence the areas within their control. I sometimes think Ofsted inspectors must feel like they’re playing an elaborate game of ‘Guess Who?’. You remember that game as a child where you have to guess which character the other player has got by whittling your list of potential characters down to just one. I can imagine the inspector sat in front of a learner or an employer asking them to describe the provider and getting a whole of host of different explanations. Granted, some will be expected nuances, differences of opinion, differences that keep us all human, yet I bet it’s a rarity that people answer with a clarity of message that clearly links the learner and employer to the provider. 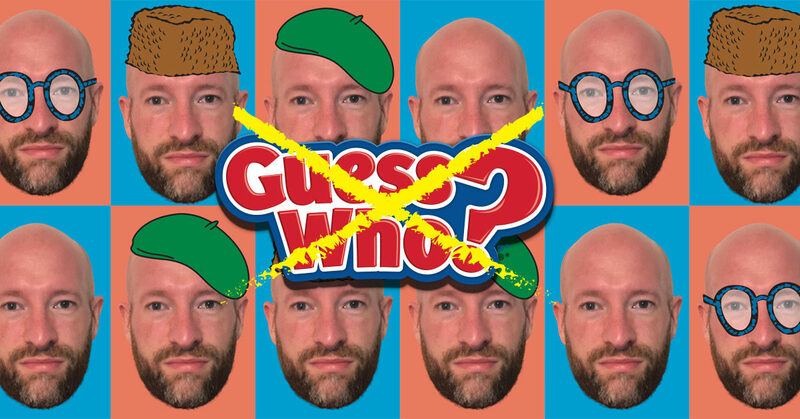 Imagine how much more effective the ‘Guess Who?’ game would be if there were three killer characteristics that linked the interviewee to the provider – an experience that was so truly unique to them that no one was in doubt that they were their customer. From my experience working with providers in adult learning, I know most dread the Thursday morning call notifying them that Ofsted are coming in the following Monday. I also know one of the top fears is who the inspectors might speak to. Will they talk to our strengths? Will their experience be consistent? Will we have done enough? Marketing and communications alone are never enough to secure you a great Ofsted grade, but when used to their best advantage they can play a powerful role in managing expectations. And managing expectations is definitely a topic every Ofsted will explore. This article is based on my work in the field of Adult Learning and Apprenticeship marketing – although the advice is applicable to anyone working in education. Perception in this context is best described as the way in which something is regarded, understood or interpreted. It is the medium through which every marketeer hopes to paint a picture. Why it matters is the influence you can exert over it – you can influence people’s perception of your service. Education services by their virtue are all pretty similar. They are national standards delivered within a defined curriculum, in a set framework. What differs are things like customer service, ease of access to information, learning material and support. From the first moment a customer (learner, employer, beneficiary) is introduced to you as a provider they are forming an opinion. The experience they have thereafter either confirms their original perception or influences it. Whilst everyone’s perception will be slightly different, the strategy from a marketing and communication point of view is to embed a handful of messages that can be digested, experienced and recalled by your customers. These messages need to be directly attributable to your delivery and their experience of engaging with you. They can’t be generic. The first task of creating a marketing strategy is to focus on what you can control. • Do the beneficiaries of your service describe you with similar language? • Are the benefits, over and above the education provision, the same? • Can inspectors quickly identify your provision or is it a game of ‘Guess Who’? The influence a good marketing and communications strategy can do to ensure consistency is significant. When marketing material moves away from a generic apprenticeship or learning description and focuses in on how your provision is different, it gives your customer a set of messages that helps them explain their decisions. When you set out your way of working in a tone that is authentic, it allows your customers to remember the stages of the process with more clarity. Drilling down on what makes you distinctive, no matter how minor they may be, will have a massive impact on the way your customers recall their experience. “Ditch the generic and focus on the specific” has almost become a mantra for me, due to the fact that nearly every learning and apprenticeship provider fails to grasp it. National campaigns are great and a synergy with them is useful, but they don’t promote your offer – just the headline message. The biggest sin in the sector is the over reliance on generic content, stock images and overusing ‘earn while you learn’ slogans that totally diminish the uniqueness of your offer. When you look objectively at how you communicate alongside other organisations, you may be surprised to see there’s very little that differentiates you. In the apprenticeship market there are over 2000 providers – with nearly all of them offering the cross-cutting subjects like Business Admin and Customer Service. That’s an awful lot of flyers and websites using the same generic content – no wonder businesses feedback that they have difficulty in deciding on a provider. Very rarely are providers helping the decision-making process by offering the viewer an insight into why they’re different. The thing about differentiation is that, despite the tendency to use generic descriptions, the actual experiences from provider to provider are, in reality, very different. Some providers are much more informal, others are ultra-efficient, some value face to face and others excel at employer specific propositions. Add into the mix sector specialisms, different geographic regions and provision of higher-level apprenticeships and there’s no wonder the experience is so varied. Not digging deeper when planning marketing and communication activity is at best naive and at worst lazy – because when you do, you can unlock what makes your offer unique. Sharing your experience, your personality, right from the start engages potential customers. It is vital for managing perception, managing expectations and, moreover, it actually helps with sales – people are more likely to engage if they know who you are (beyond the same old, same old, that everyone else is saying). To find out more about how we work with clients to unlock their uniqueness have a look at some highlights or drop me a message direct.